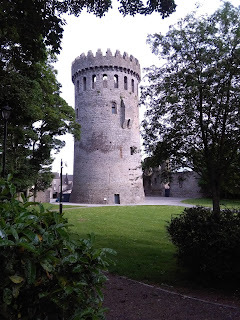 Nenagh Castle was built by Theobald Walter (the first of the Butlers of Ormond) around 1200. Rising to a height of 100 feet and spanning 55 feet in external diameter, it can be presumed that the castle tower was a safe-haven for its human occupants in times of siege over the last 800 years. Every summer this heritage site attracts summer visitors from across the world, and no, it is not the flocks of North-American homo-sapien tourists I speak of. It is Apus apus, the Common Swift. Our flying summer visitor from Sub-Saharan Africa. At the end of May, as part of BirdWatch Ireland's Swift Conservation Project, I was conducting a routine nesting site survey in Nenagh. 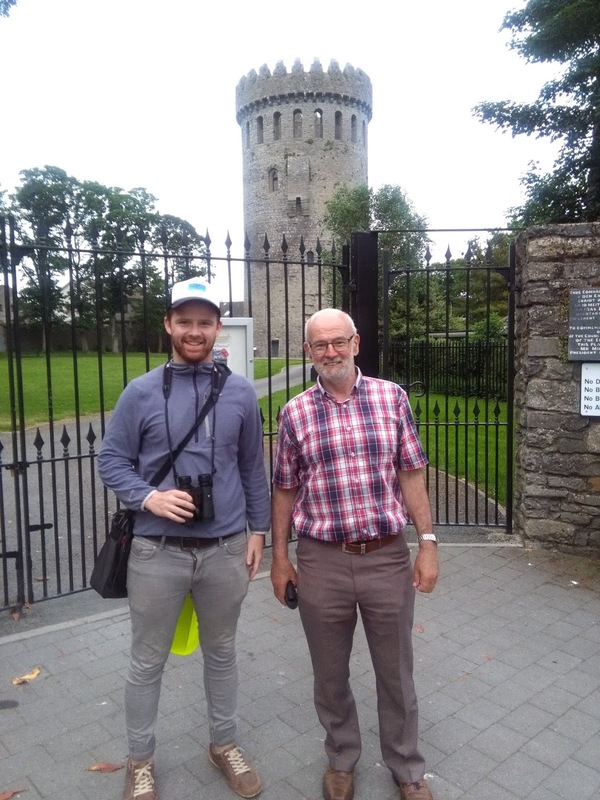 The plan was to begin the survey in the vicinity of St Marys Church, Nenagh Courthouse, and Nenagh Castle and then branch out across the town as the evening progressed. This plan did not go to plan. A short time browsing the skies and I spotted a pair swirling above the courtyard of Nenagh Castle, and this wasn't to the only couple of Swifts to appear. After gaining access to the grounds of the castle (gates close at 4 pm) through my assistant for the evening Jim McGuire, we soon had fourteen of our friends occupying the air above the castle tower. We knew now we were in for a jam-packed evening. As the survey progressed and the Swift numbers increased we began to identify nesting sites on the castle towers exterior walls where the birds entered and exited. First, we identified a group of three nesting cavities close to the right of a window's edge, followed by two more nesting sites just above. Five in total. Then all of a sudden, the usual screaming of the swifts came to a halt, and the skies were empty (around 7.30 pm). This absence was unusual, and after about 20 minutes we thought our work here was done... We were wrong, so very wrong. Out of thin air, we had close to thirty birds screaming and dashing past the castle’s walls. Our heads were moving left to right faster than the beat of a hummingbird’s wings. After about 40 minutes of this anarchic surveying, we identified over 20 nesting sites in the castle tower walls. Not bad for an evening’s work! An interesting finding, asides from the sheer abundance of Swifts, was the location of the nesting sites. We identified all nests within a 6-metre belt encompassing the tower. Jim, a local man, informed me that this might be due to the great work of the Office of Public Works (OPW). 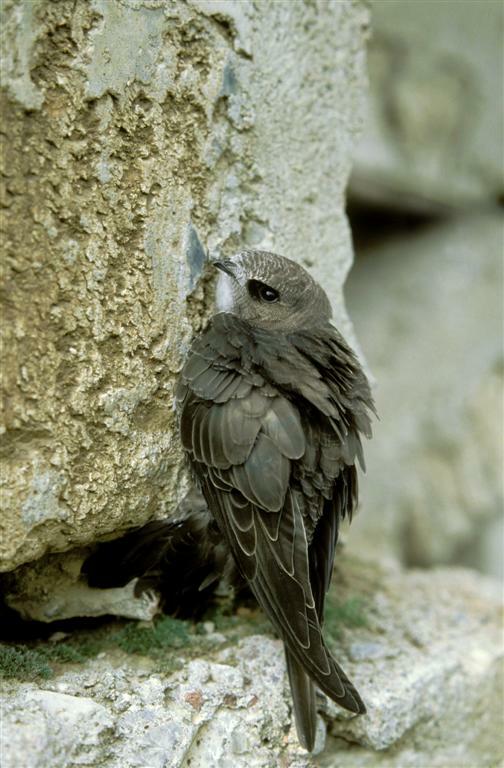 During renovations of the castle a few years back, OPW workers noticed that swifts were nesting all around the tower and ceased from filling in holes/crevices in case they were swift nesting sites within the 6-metre belt. For me, that deserves credit given for when credit is due as the Swift's could not have survived here without this kind consideration. 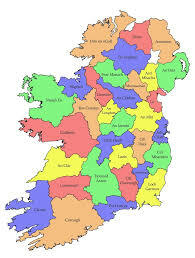 Bravo OPW. On the drive back home following this exhilarating evening I wondered if the many bygone occupants of the castle would be happy if the knew that it is still a safe haven for their former flying neighbours. Swifts, the ancient guardians of Nenagh Castle. The County Tipperary Swift Survey is being conducted with the support of the Heritage Council and Tipperary Heritage Office.